>> Joshua D. Lum, M.D. As a family medicine physician, Dr. Lum has had the privilege of providing comprehensive care for his patients. His practice includes taking care of entire families, from new born infants, to grandparents, and everyone in between. He has a keen interest in doing procedures (circumcisions, joint injections, skin biopsies, skin tag/mole removal, and much more). 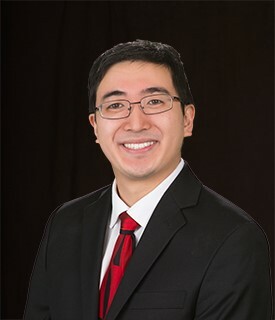 Dr. Lum strives to provide compassionate, personalized care to all of his patients. Dr. Lum maintains balance by spending time with his wife, 2 year old son, and his identical triplet boys. He enjoys volunteering at his church, going on hikes, reading a good book, and making shadow art!